Can’t wait to play Titanfall? Developer Respawn Entertainment might have just the thing for you. Who needs next-gen graphics when you can play Titanfall in 8-bit? 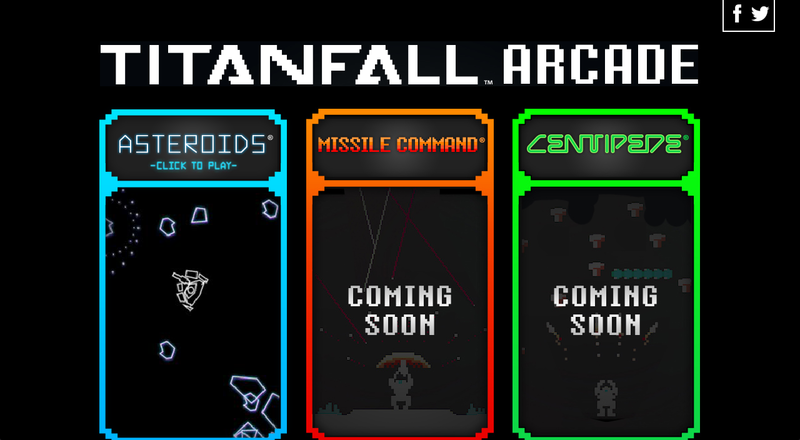 Today, the studio has launched a special website where you can play three different Titanfall-themed mini-games based on classic 8-bit games like Asteroids, Missile Command, and Centipede. As of this writing, only the Asteroids mini-game is available to play, but we presume the other two will be unlocked at a later date as we approach Titanfall’s March 11 launch on the Xbox One and PC. Check out the website for yourself right here. Be sure to read up on Titanfall’s recently announced Season Pass details!